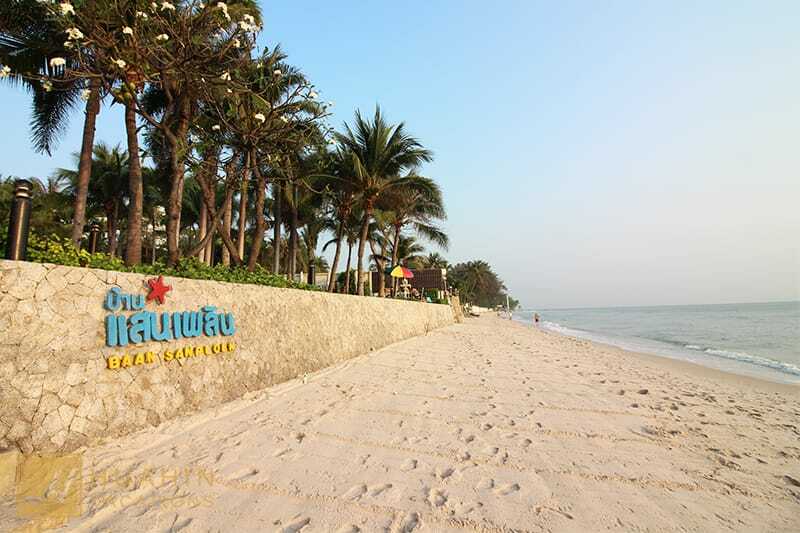 Baan San Ploen beachfront condominium is a lovely tropical-style 7-floor condominium near Hua Hin Night Market. Units start from 65 sq. m for 1-bedroom, 90 sq. m for 2-bedroom, and 250 sq. m for 3-bedroom units. All rooms are fully furnished including European kitchen and a large balcony in proximity of the pool surrounding the condominium along to the beach. A large beachfront swimming pool and kids pool with water slide offers a gorgeous beach view. Sunbeds are available in the garden area surrounded by coconut trees. A kid’s club is located on the ground floor next to the lobby and a fitness center next to the kid’s club. Have a look at the beautiful units we have available at Baan San Ploen!